This item has sold out. Please leave your email address to be notified once this item is back in stock. This box contains 5kg of randomly picked items that do not fit our specifications in terms of size, cut or packaging. Sometimes we include items that have been discontinued and are not available anymore. 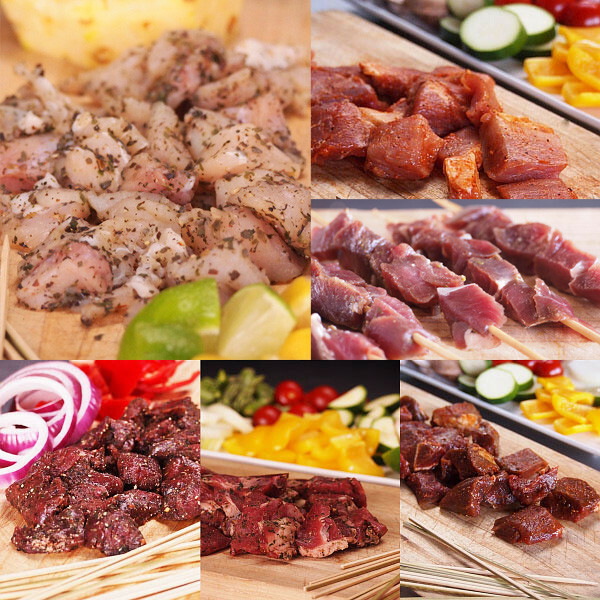 This set might contain from 2 different kinds of meat up to 10 kinds of meat. 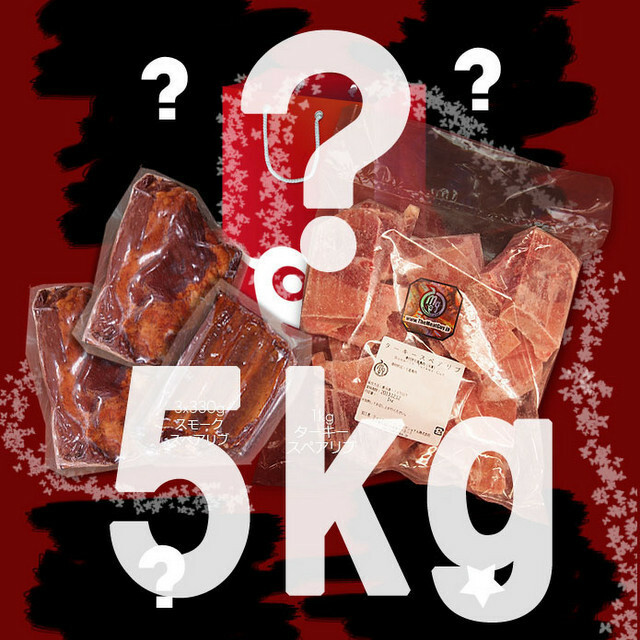 The total box weighs 5kg and does contain a variation of meats. Only one thing is certain, the value of the box is higher than the price you are paying. This box does NOT contain expired items. 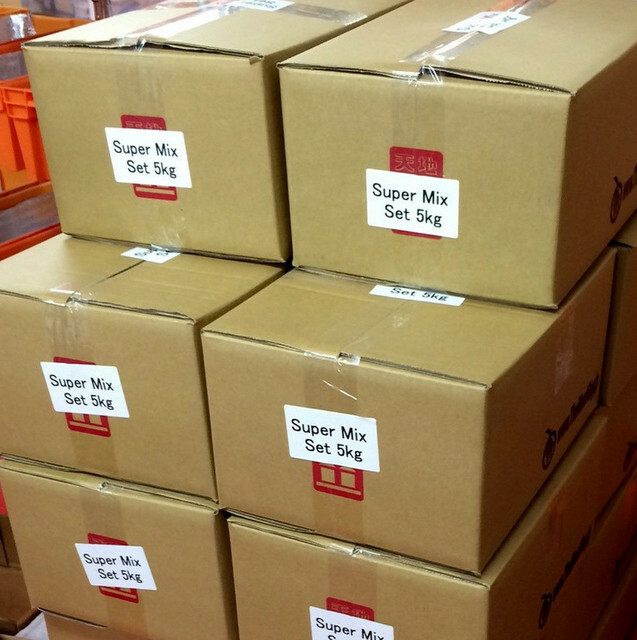 We pre-pack the boxes depending on the season and the stock we currently have. Thus the contents may vary heavily. These are the meats that could be in the box: Beef, pork, lamb, chicken, exotic meat such as Crocodile, Camel, Kangaroo, Goat, Ostrich etc. 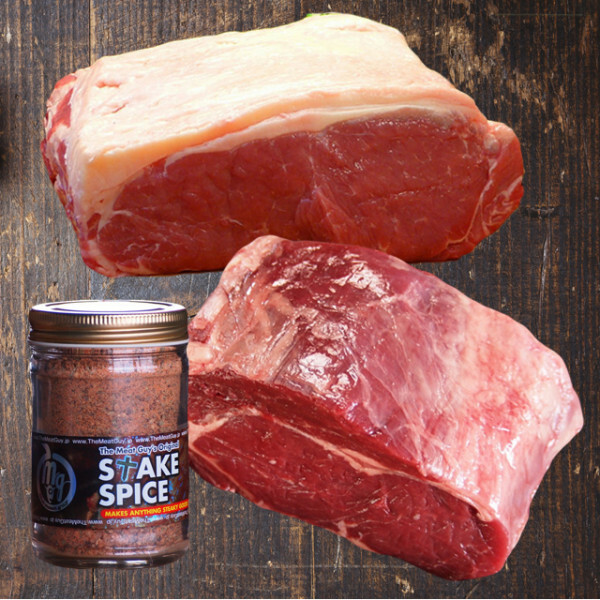 The cuts of meat could be: Whole blocks, Steaks Roasts, Ground Meat, Patties Sausages, Skewers, Chops etc. Check out the unboxing video we've prepared for you below to get a glimpse of what these boxes could contain. 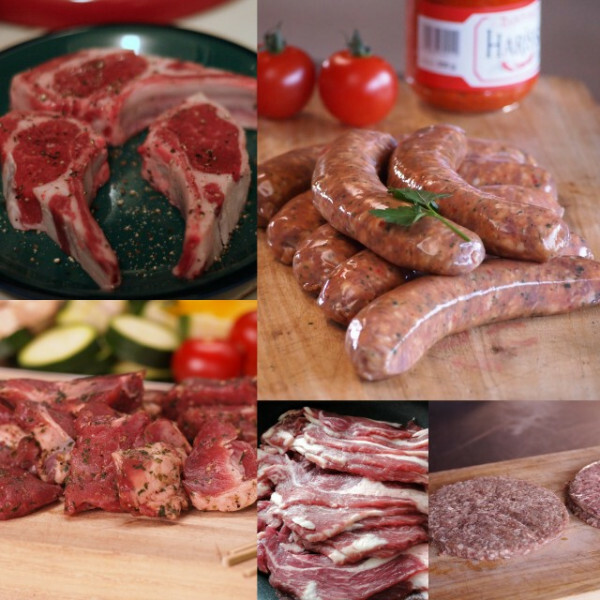 This set includes our original spicy Marquez lamb sausages, lamb shoulder slices, lamb patties, spiced lamb cubes with bamboo skewers and finally lamb chops. All for a discounted value. Good enough for 5-8 people. Frozen.